Smart plugins for Final Cut Pro X. Is there a better alternative to Final Cat Pro Services? 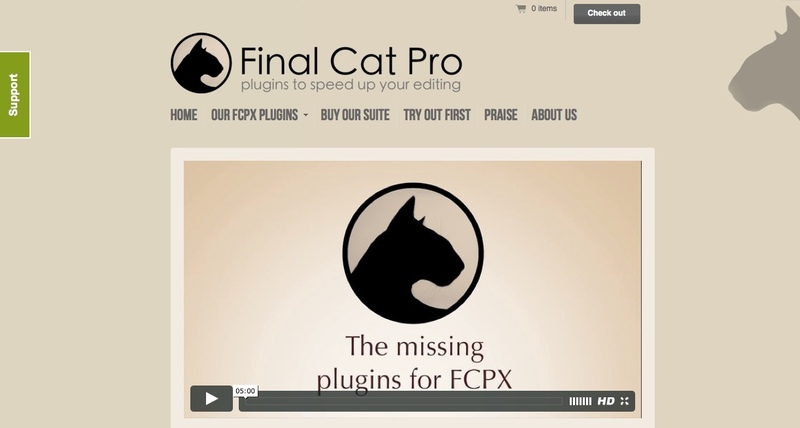 Is Final Cat Pro Services really the best app in Video category? Will Final Cat Pro Services work good on macOS 10.13.4? Quote and Note: tag interviews with the right quotes and notes. So if you need to write out your interviews or provide more information to clips than a few words, this plugin is your solution. It saves you a lot of valuable time and makes you feel in control with big projects. Final Cat Pro Services needs a review. Be the first to review this app and get the discussion started! Final Cat Pro Services needs a rating. Be the first to rate this app and get the discussion started! Memory Bank: store 5 positions and visit them later when you need them. Very nice if you search through your sequence and lose your orientation. Or you can compare multiple clips. Or jump back and forth to the clips you want. Affiliated Clips: copy, paste, adjust white balance, mute audio off/to all the same source clips in the timeline with a shortcut. Select from in to out: select everything between, before or after your sequence in and out point in the time line. Split Edits: create a split edit with the click of a button. This b-split will extend the audio of the left clip under the video of the second clip. Quick Quotes: set your in and out point automatically while everything keeps on running while you type. In this way you can transcribe much faster and you get a clean outline of all your quotes and notes. It is the quick-and-dirty version of our Quote and Note plugin. Eventbrowser to Text: print out the outline of the event browser. Audio On/Off: mute the audio of any clip with the click of a button, even while running your sequence. Very nice if you want to check your audio, mute your score or check your different channels. Clip Appearance: 'zoom vertically' to check your audio waveforms, for example. Right now, you can do this as well, but you need a lot of mouse clicks and it is very time-consuming. Reveal Selection: reveal your selection of a clip in the timeline to the source clip in the event browser with the exact in and out point. If you run into any trouble with these new services, please send an email to support@finalcatpro.zendesk.com. We will make sure you will get a quick reply.